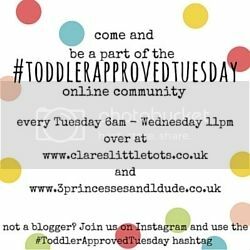 Welcome to the Toddler Approved Tuesday linky party and community. We love to see what you’ve been up with your little ones so come and share with us. This week we’ve been having fun (and getting messy) making these Hedgehog Cakes which are perfect for some autumn baking. My wonderful co-host Becky from 3 Princesses and 1 Dude! has been making this spooky DIY Tin Can Alley Game with her Monsters – perfect for a Halloween party. My two favourites from last week are these beautiful Autumn Leaves Suncatchers from Lukeosaurus and Me. And these Fruity Flapjacks from the Kids Make and Bake Club look delicious!